A six-million-year-old fossilized cranium of a juvenile ape has been unearthed in southwest China's Yunnan Province, a rare find paleontologists hope may help unravel the mystery of human origins. The remains is only the second recovered cranium belonging to a juvenile ape inhabiting Eurasia in the Miocene that dates back to 23 to 5 million years ago, Ji Xueping, a researcher who led the study, told a news conference on Thursday. 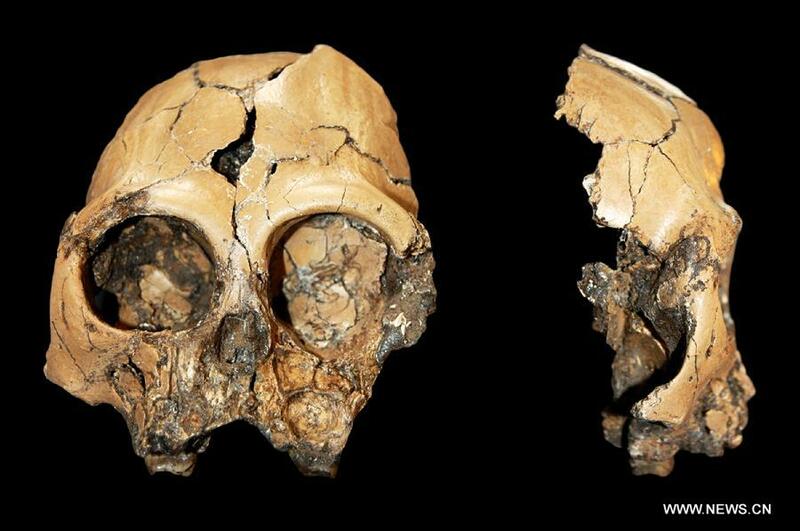 "The skull boasts great significance in research on our ancestors, as the time when the primate lived was close to that of the first humans, estimated at between 7 million to 5 million years ago," said Ji, with Yunnan Institute of Cultural Relics and Archaeology. "Africa has found a number of fossils of ancient primates of that age, but such finds are scarce in Asia. From this perspective, the discovery is quite important," said Lu Qingwu, a professor with Institute of Vertebrate Paleontology and Paleoanthropology, Chinese Academy of Sciences. 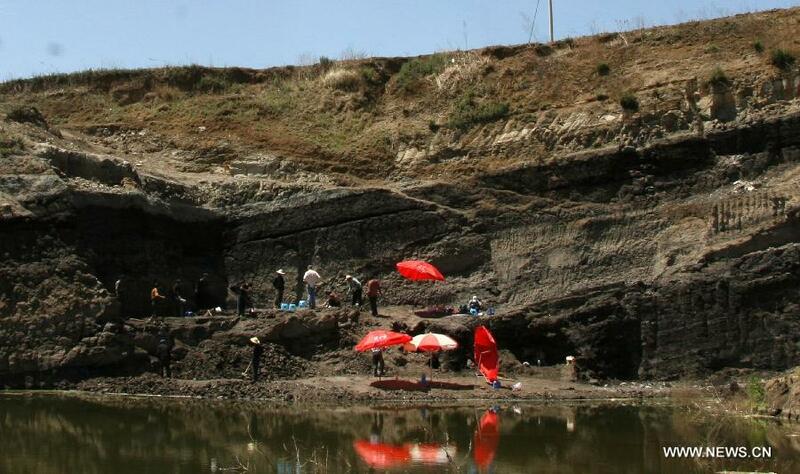 A detailed description of the find was published in the Chinese Sciences Bulletin last month, nearly four years after Ji and his fellows found it in a pit owned by a brick factory in Shuitangba community, Zhaotong City. The age of the fossil ape, a member of the genus Lufengpithecus, was identified as between 6.2 to 6.1 million years ago in the late Miocene, the youngest among all ancient primates previously detected in Yunnan. The well-preserved cranium that has maintained most of the facial skeleton is relatively complete and largely undistorted, providing valuable information about the morphology and growth of Lufengpithecus, according to the study. "The study shows the primate bears some features in common with humans. A significant example is that the width of its eye socket is longer than the height, just like us," said Prof. Lu. Although the new find suggests its connection with the first humans in terms of timing and morphology, Ji noted, "We still lack adequate fossil evidence to clarify its relationship with early hominins." The mainstream view is that human ancestors originated in Africa. "In recent years, some scholars proposed the theory that Asia, rather than Africa, is the cradle of human ancestry based on a series of recent finds. Apparently there's a lot more work ahead to explore such possibility," said Prof. Lu. Lufengpithecus is a collective name for the remains of fossil apes recovered in Kaiyuan, Lufeng, Yuanmou and Zhaotong in Yunnan since the 1950s. 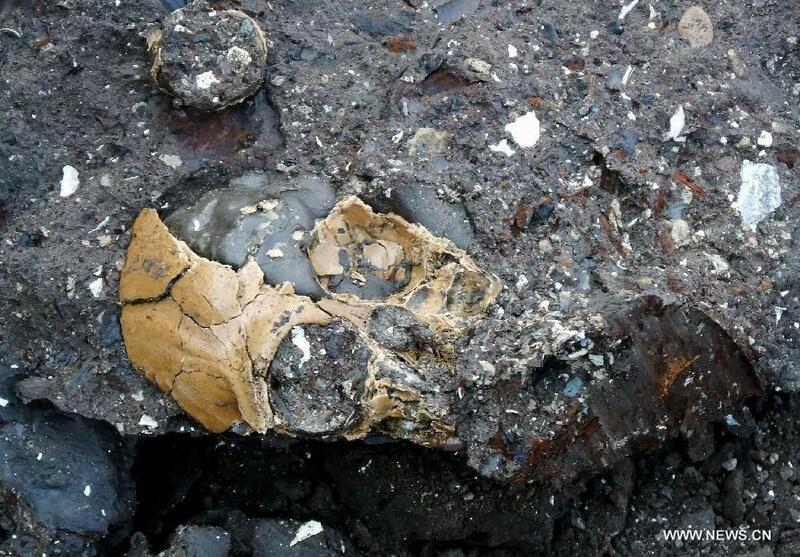 The remains date back between 11 million and 7 million years ago, most crushed and badly deformed. The genus survived in Yunnan while the apes living in other parts of Eurasia in the late Miocene became extinct due to climate deterioration, according to Ji. In the late Miocene, the hot, humid climate as well as lush tropical and subtropical forests in today's southwest China might provide an environment for human origins and evolution, said Ji. "Therefore, Yunnan is a possible site to unravel the mystery." At the site where the cranium was found, researchers and their counterparts from the United States in 2007 unearthed broken skeletons of three ancient elephants that lived six million years ago. Nina Jablonski with Pennsylvania State University co-led the new study. Researchers with the Chinese Academy of Sciences and Zhaotong Institute of Cultural Relics also contributed to the project.